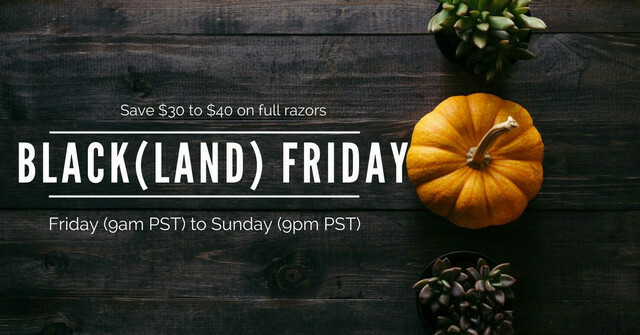 Save big on full safety razors this Friday 9am PST to Sunday at 9pm PST! I thought this was my chance with the L2 bp ... oh well. Any update on your 2018 razors?? Yes, but not the exciting photos or design details you’re probably hoping for . I’m keeping those quiet for now. AC and DE are in line for production and should be available in spring. Slant will come sometime thereafter. Haha, I understand. Just happy to hear things are still moving along toward production!